From a restaurant business perspective, the idea of a one-page menu sounds enticing to anyone who has ever managed a restaurant before: Fewer items to inventory and keep fresh, less waste each day and more cooperative vendors who can easily supply over a dozen other Shuckin’ Shacks. Yet when it comes to the customer experience, especially for customers who love a cozy, locals sports pub with a coastal vibe, but they are not fond of seafood, they’ve had limited menu options. That’s why we are proud to announce we have good news and we have more good news! The first good news is that we’ve actually kept our single page menu for 2019! While it is two-sided now, we’ve added really great new options - like sandwiches - that are ideal for the lunchtime crowd that may be pressed for time. Our second good news, especially for our seafood-averse friends, is that many of our new options have nothing to do with seafood! Watch this 45 second video to get a glimpse of the new menu items and then look through our photo gallery at the bottom to see even more details! 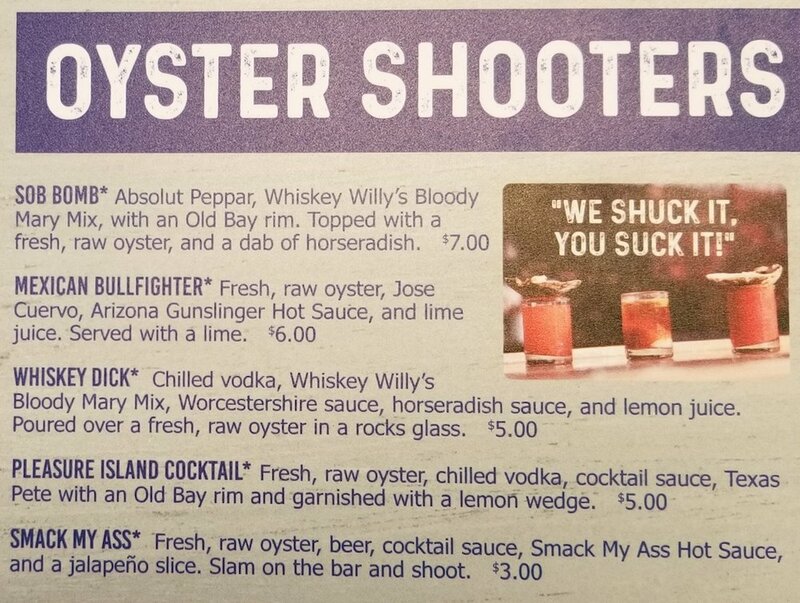 As is always the case with franchise restaurants, item availability and pricing may be different at your local Shuckin’ Shack Oyster Bar, but to taste and explore the entire 2019 menu, we recommend a visit to our flagship location in Historic, Downtown Wilmington at your earliest convenience! Our franchise development team is already busy in the new year with our continued expansion in the Southeast, but we also plan to expand into the Midwest during 2019. While Ohio is on our radar, so is Louisville! If you know of someone in Louisville, KY seriously considering affordable restaurant opportunities with a coast vibe and track record for success, please share this special video with them today! Shuckin' Shack Oyster Bar of Statesboro, Georgia is NOW OPEN!